A new Master Sword replica has started circulating on Ebay, and it looks to be one of the best so far. After a small amount of dispute about the size of the product it’s become apparent that it’s the real deal. Go on over to Ebay to check it out. 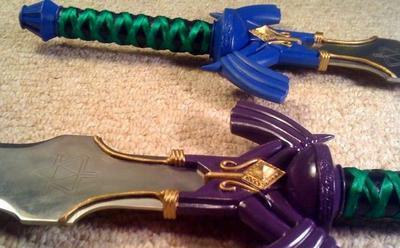 The sword comes in two colors, blue and purple, each looking equally awesome. The price? Pocket change – only $200.